Information Technology Services will be performing an Oracle patch to the Banner administrative system. This scheduled maintenance will require that the Banner production system be off line on July 30th (Thursday) between 9:00pm - 11:00pm. Thank you for your patience during this short outage. We have received a report that there is an email circulating from: "XeroxXRX9C9" with the subject "Scanned from a Xerox Multifunction Printer." It seems that the file attached to the message contains malware. Do NOT open this attachment. 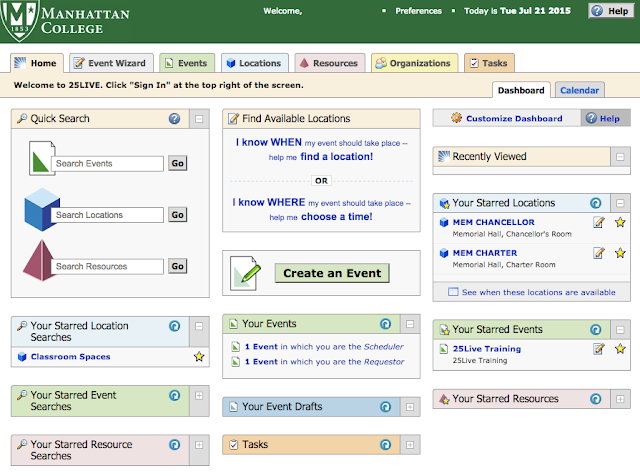 A new system to better manage room reservations, event planning, and event promotion is coming soon. The current online campus calendar and room reservation process will be replaced by a system called 25LIVE. 25LIVE will become available to the campus community the week of 8/3. Watch out for updates leading up to the 8/3 launch for more information! An issue on the Verizon network is affecting access to manhattan.edu and major Internet sites including google.com and verizon.com for Verizon Wireless and FiOS customers. 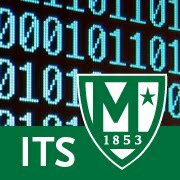 Verizon customers having issues accessing manhattan.edu, Manhattan College Email (powered by Gmail), or other sites should contact Verizon support directly.